LA city and much of the surrounding LA area is linked by an extensive network of highways and freeways and has made LA the most congested cities in the United States. Â Among the major highways that connect LA to other parts of California, Mexico and other US states include interstate 5, interstate 10, and US Route 101. The LA County Metropolitan Transportation Authority and several other agencies operate and extensive system of light rail, subways lines and bus lines across the LA County. 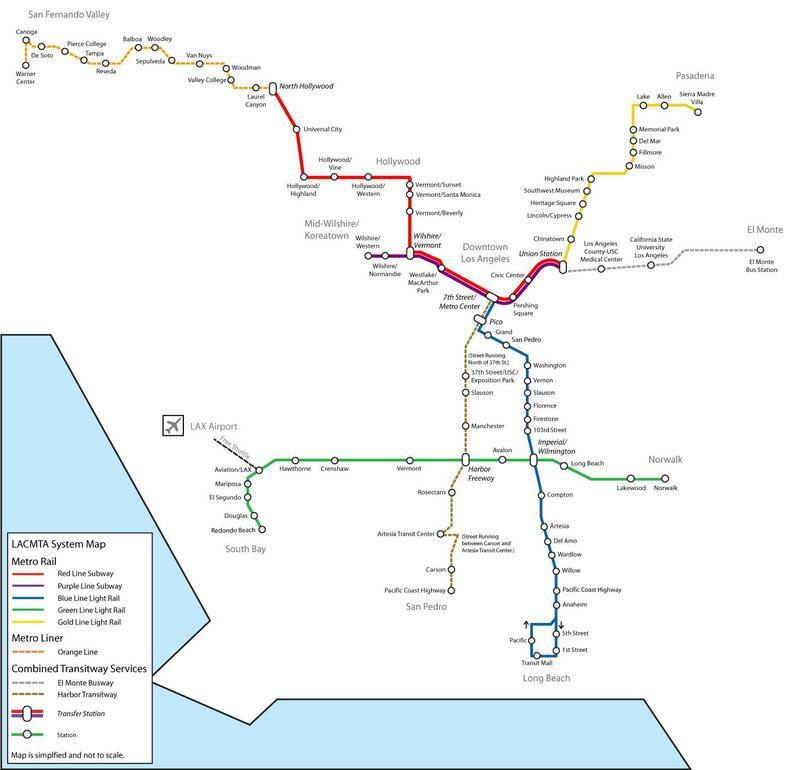 Â The LA subway system includes the Red & Purple lines as well as the light rail’s Green, Blue & Green lines. Â LA public transport also include the Metro Rapid buses which operate with stations and frequency similar to those of the light rail. Â LA city is also central to their commuter rail system Metrolink which links LA with theÂ neighbouringÂ counties and many LA suburbs. The map below shows the network of existing public transport lines and those under-constructionÂ still.